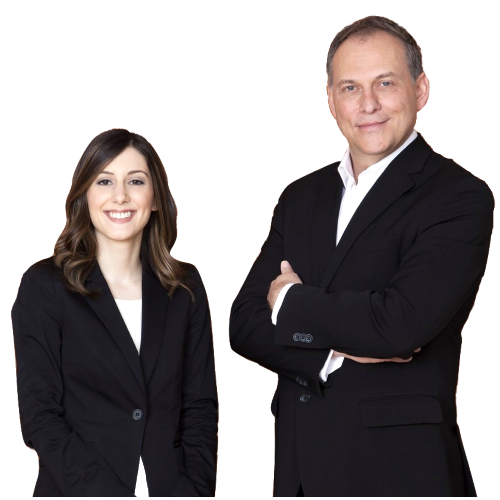 Since 1990, Alousis Law has been providing legal services in Barrie, Ontario and it’s surrounding area. Our law firm serves individuals and business alike, focusing on real estate law, wills and estates, mortgages and loans, corporate law, land development and business law. We strive to make the law simple for you. Our goal is to be your lawyers for life. Our first impression of the Alousis Law Firm convinced us we were in the right place. The atmosphere was very welcoming and the staff very accommodating. John Alousis not only knew the law, he treated us as a partner, someone who took an interest in our goals, and with patience, guided us in all our important decisions. Over time we realized John Alousis is an important mentor to us both. Years ago we remembered seeing a very large bill board high above a busy city. The caption said ” I’d walk a mile for a Camel.” Neither of us are smokers, but this we can say with certainty, We’d walk a mile to meet with the ALOUSIS TEAM! Mr. Alousis and his staff are professional, courteous and helped us walk through the Purchase and Sale process. We would definitely call upon his services again and highly recommend his firm.